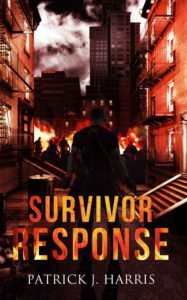 Loneliness, the loss of his sister, and the undead, Paul Summers is a survivor struggling to connect to the living after the Plague. Building a new life in Greenport, a high tech city outfitted with drones and run by artificial intelligence, with Karen, his fiancée, offers him a chance to reconnect. During his last ZMT call of the day, he’s exposed to infectious zombie fluids, putting his new life in jeopardy. Before he can explain to Karen what happened, an accident separates them into opposite sides of a hidden war to control the city. During one long night, Paul is ensnared in an attempt to free a man with skills to grow a startup criminal empire, while Karen is enmeshed in a dark, secret project funded by the city. Paul and Karen must survive the living and the dead in order to reunite. And save the city. 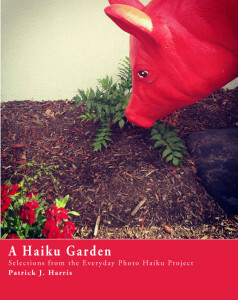 A Haiku Garden contains 104 selections from the Everyday Photo Haiku Project, a personal art project that spanned 365 days. Each day, a photo was taken and a haiku was written. Words, ideas, stories and emotions were explored within seventeen syllables. All photography and haiku created on an iPhone by Patrick J. Harris.